ParentBlog.org is sponsored by The Orchard Human Services, Inc., a 501(c)3 nonprofit organization that serves children, families, and adults. Books, curriculum, training and educational materials offered for sale through this site go to benefit The Orchard Human Services, Inc. This site is moderated by Dr. Darleen Claire Wodzenski, a parent expert, educator, and clinical mental health counselor with a specialization in brain-based and attachment-oriented strategies for children with complex or co-occurring challenges of development, learning, behavior, and mental health. The information presented here is designed to increase awareness of developmentally appropriate parenting strategies for children of all ages. If you have any question or concerns, please remember that your child’s Pediatrician, the local Health Department, and your school district’s Office of Exceptional Student/Special Education are excellent resources. Please check with your local experts to address specific questions pertaining to your child. Dr. Darleen’s background combines special education with psychology and clinical mental health counseling. 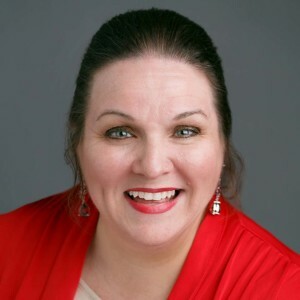 A certified special educator, her clinical mental health counseling services are supported by clinical supervision by Jeff Emery Miller, LPC, CCS. Her psychology background is in the non-clinical area of Psychoneuroeducational foundations of child learning, growth, and development. She also encourages parent educators to join her in gaining credentials to ensure that parents receive ethical, evidence-based training; her QPPE is a Qualified Professional Parent Educator credential from NCPEN.